We honor the existing character of the house while adapting it to the way we live today. This traditional house had suffered a series of ill-planned additions over time. Each addition was done to satisfy a pressing need, an additional bedroom, a second bath, but none of the additions ever acknowledged that the house was now a larger home. The resulting three-bedroom, two-bath layout was confusing so the main design goal was to reconceive the home without adding more square footage and make the house function more cohesively. 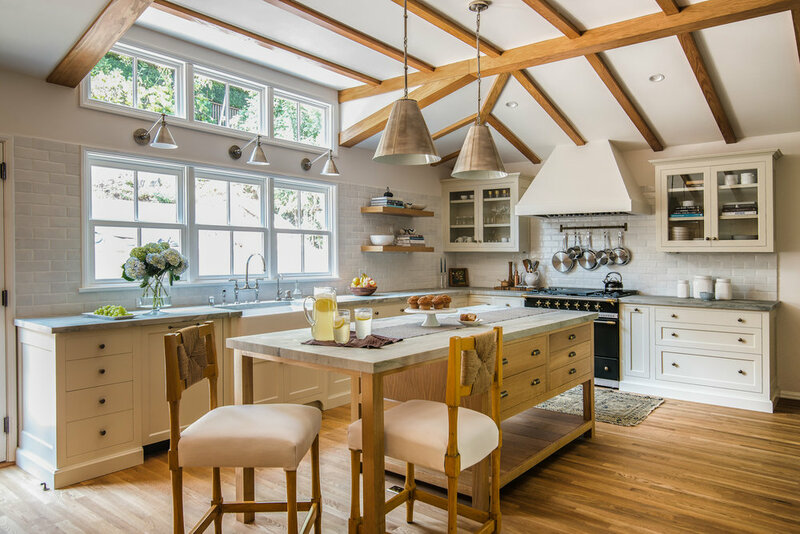 This remodel and addition to a 1933 Spanish Colonial Revival house was the first project the renowned PBS show “This Old House” ever filmed in Los Angeles. The existing house was a single story 1500 square foot two-bedroom, one-bath house. Quaint but too tight for a growing young family with two kids. Being located in the highly desirable historic hillside area of Silverlake, buying a new larger home was a less desirable option. This late 1920s single story 1500 square foot Spanish Colonial house had a typical floor plan of the period, public rooms up front and bedrooms behind, no access to the rear yard. In order to open the home to the newly landscaped rear yard a second floor was added moving three bedrooms and two baths upstairs creating a larger 3000 square foot home with 4 bedrooms and 3 ½ baths. The now grander floor plan accommodated a central stair well with turret above filling the central core of the house with light and ornate period details such as the Malibu tile risers and ornate hand forged metal railing. This residence was once part of a larger Ranch built in the 50’s in an area of the San Fernando Valley which was popular with Hollywood luminaries such as Roy Rogers, Dale Evens, Desi Arnaz & Lucille Ball. 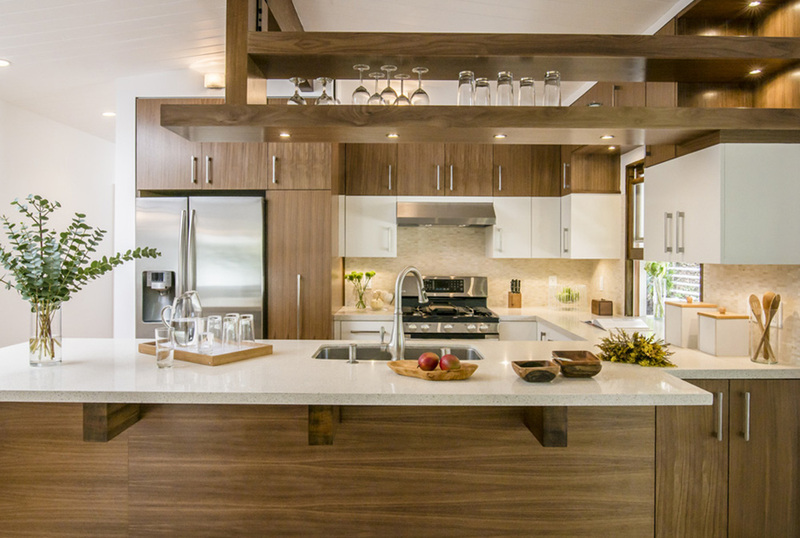 The goal of the remodel was to update the kitchen and integrate it into the living area, adding modern amenities while creating a space that was clearly synonymous with the original ranch style. The existing kitchen was stuck in the dark center of this house on a narrow urban lot. Since the kitchen could not be relocated, the remodel incorporated a turret to allow light and air to flood the room. 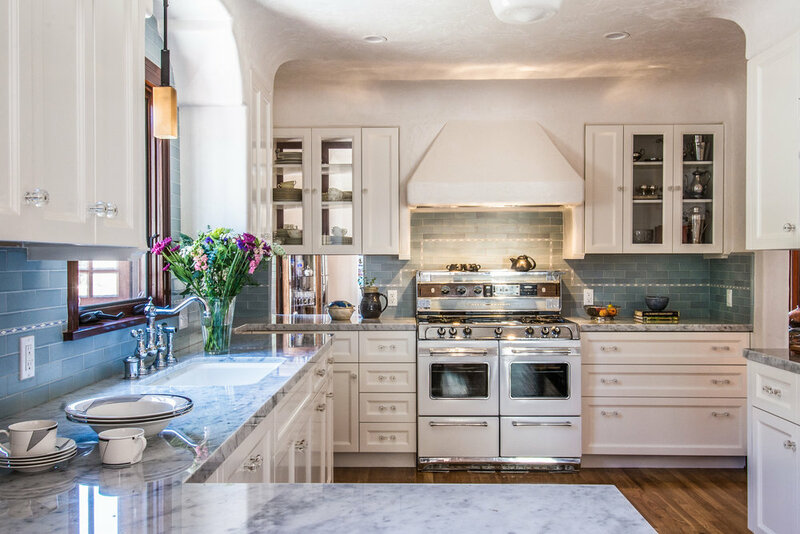 The kitchen was no longer a utility space for cooking and serving but was now, literally and figuratively, the center of the home and family life.